Our Brand History and Timeline | Alexandra Scale Pvt. 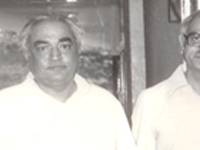 Ltd.
Ibrahim F. Sidhpurwala, a commerce graduate (1935) a rare academic qualification in that time, giving up officer rank post in British Government stated retail shop of weighing scales and weights at Pankorenaka in the name of Fidaali Gulamali in partnership selling in British system Pounds & Kanti Palla selling in ‘Ana’ currency. This small venture in 1952 reaches at the height of manufacturing truck weighbridges in his 3rd Generation today. 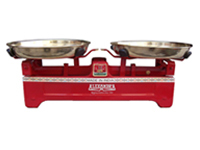 From Kanti Palla, expanded to mechanical counter scales called Two Pan Balances. A Historical changes in system conversion from Tola to Metric system Kilograms. The registered partnership firm on 05.04.1960 (no. G/1c474). The company provided support to Gujarat Small Industries Corp. who shared responsibility of distributing Metric system weights to traders & Industries. The firm remained open 24×7 to cater the need of conversion. Opened a branch in Indore namely Asiatic Agency. 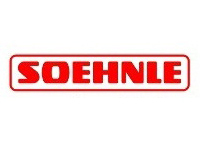 Appointed as Sole distributor for Gujarat for ‘Soehnle’ Brand scale manufactured by Libra Industries in German Collaboration. Mr. Shabbir, Son of Mr. Ibrahim joined business after completing this studies. Alexandra Completed 25 years & Celebrated Silver Jubilee year with dealers conference alongwith owner of Libra Industries. Started office at 12/2, Amee Bazaar. Made a huge investment by acquiring land admeasuring 5500 sq. yards in newly developed area named Changodar which is at present one of the premium industrial belt of India. The company entered into Private Limited status and formed “Alexandra Scale Private Limited”. Year Mr. Shabbir retired from firm and became sole owner of Alexandra Scale Private Limited and started production at Changodar. He purchased “Alexandra” Trademark and became Legal owner of it. 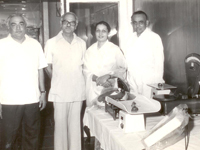 Entered in agreement with Encardio Rite Lucknow and started purchasing kits in SKD and assembled it at Changodar factory under ALEXANDRA to sell it in India. 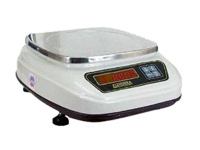 Dealer network was established across India selling “ALEXANDRA” brand products. Mr. Murtaza Sidhpurwala, Son of Shabbir Sidhpurwala, the 3rd generation joined the business and started putting efforts for face-lifting the company, growing brand Goodwill and expanding business in new verticals and started exporting the scale out of India to many counties. Company shifting its corporate office to new premises in City called Mistry Chambers, Khanpur with bigger floor area to accommodate more manpower for expansion of the business. 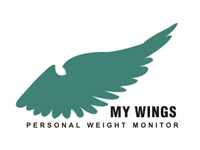 Company hired business consultant for the purpose of expansion and launched “MY WINGS” a brand dedicated to Personal devices for Health and making the monitoring at ease of the home. The company expanded its product line and introduced wireless crane scales and High temperature crane scales used in foundry. The response was tremendous and in its first year sold remarkable quantities. An Event management company used ALEXANDRA brand Furaat model crane scale to register the weight in guinniess book of world record in Delhi for making largest quantity of Basmati Rice Biryani. Tie-up with Davi & CIA S.L. Spain as authorized exclusive distributor for India. To sell and service their High End Coin operated Health checkup machines. (Ref Pic: M1 Bl). The company expanded manufacturing facility in Changodar to start making electronic truck weighbridges and in just 3 months of starting the operation sold 15 weighbridges across Gujarat state. Stated taking up project for Designing, Commissioning and Installing Online weighing systems in various industries. The company in view of providing speedy turnaround and efficient working shifted all its operation to Changodar plant. Today the company is exporting its products to African Markets, Russia, USA, Bangladesh, Iran, UAE.